Diesel Fuel Injectors for the Dodge Ram 6.7L Cummins Diesel. The Dodge Cummins 6.7L is a very dependable fuel efficient diesel engine. 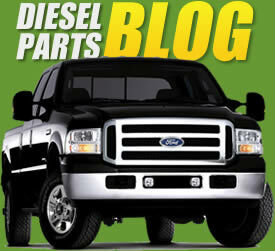 The truck gets 20 plus miles per gallon with plenty of power. The Dodge Cummins 6.7L has a Bosch CRIN1 series diesel fuel injector. Tamerx offers The Bostech remanufactured diesel fuel injector for these applications. "Remanufactured with OEM Bosch Components"
This is a complete package that includes all 8 diesel fuel injectors, 8 injector supply tubes, and 1 high pressure fuel injection CP3 pump for 2007-2012 Dodge Ram 2500, 3500 models with 6.7L Cummins diesel engines. All included parts are 100% remanufactured with all OEM components.